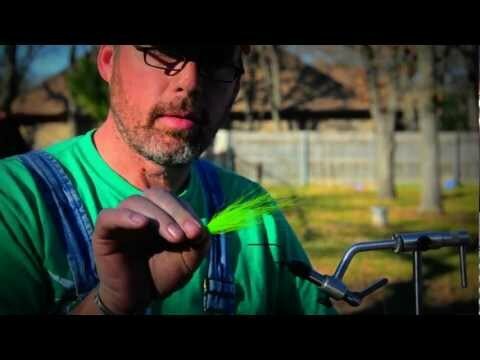 Brad Bohen of http://muskycountryoutfitters.com teams up with Clear Cure Goo www.clearcuregoo.com to tie his Hangtime Optic Minnow. 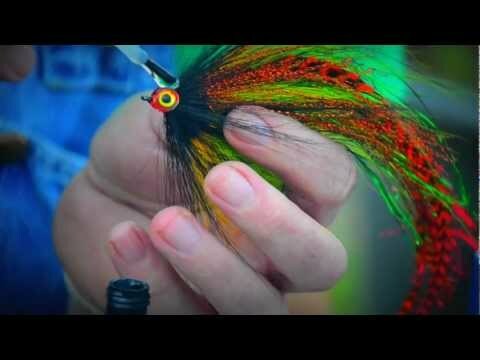 This is a large profile fly Brad designed specifically for Wisconsin Musky, but could be easily adapted or downsized for smaller predatory fish. Check out this unedited 2 part video for some great insight on design and technique. Based on time and materials, we’re looking at a $10.00 fly…minimum. However, if it will hook you up with a Musky, it seems cheap. Nice video and excellent application of materials. Nice job. Nice tie Brad! I am going to tie up some smaller versions for pike. 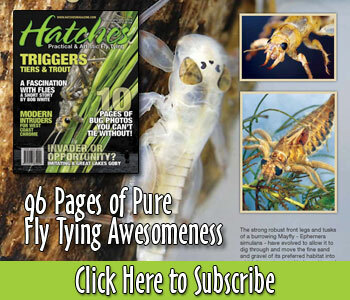 Thanks CCG…and HATCHES – the best fly tying source out there! Cap’n Bob…yup you are right…not a cheap fly…but they do hook you up to musky. And plenty of other big predator fish. BIG Smallmouth and largemouth bass, tanker walleye, lake trout and salmon, pike, catfish and plenty of salt predators have showed a fondness for Hang Time. Thanks for the interest…best of luck in 2012…remember Just Keep Castin’! Good looking fly, only thing was my first part wouldn’t play .